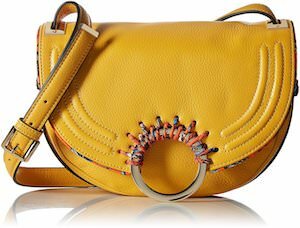 Sam Edelman made this amazing looking Rio handbag and it is one of those pieces you wish you owned so do wait too long before ordering one. The handbag is available in black, light brown, and the yellow from the picture. The bag is made from leather with a man-made trim and nice lining and it has a magnetic closing mechanism and one main pocket and a small zipper pocket. 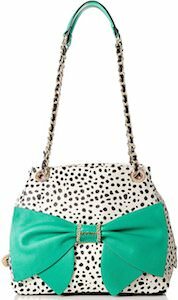 And you can use this as a shoulder bag and it comes with a 23 inches long strap that is the same color as the bag.